QL-Custom can provide modern miniature product micro moldings. At QL-Custom you can customize the molding of small micro-plastic products from a few millimeters to 1 millimeter. With the attitude of excellence, we constantly study and improve the performance of our products. We are constantly developing and selecting High-quality plastic materials to meet our customers requirements, QL-Custom always put customer demand in the first place, where we have a more professional team to serve. 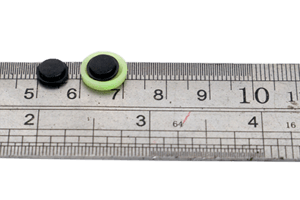 The main features of micro-injection molding products are small size, special shape, complex functional area. In general, the size of the order of several microns to several centimeters, aspect ratio between 1 to 100, the individual functional areas require high strength, high brightness, high transparency and so on. In order for these features to be able to reproduce with high reproducibility, the process must meet some special requirements. Specifically, in order to ensure proper filling, high injection rates and high injection pressures (in the hundreds to thousands of kg / cm2) are required. The temperature of the material is as high as possible within the allowable range. Should be controlled at high end. In order to obtain a sufficiently large amount of injection, it is necessary to use a large runner and a large gate, which ensures that the polymer is reliably controlled and switched during the flow process to avoid material degradation. The mold requires a special split heating and cooling system to dynamically control the mold temperature.